Strategic innovation is not about making products better or technology faster. It is about daring to change the current rules of the game in your market, and discovering new business you didn’t think of before (e.g. a new niche, new customer, new channel). No need to say that everyone in business dreams of finding a disruptive new business model one day, and see the sales figures of the company soar. When you are a medium-sized or larger company, however, it is not easy to reinvent yourself because there are so many agile start-ups that are challenging your industry with disruptive ideas. Will you be able to stay among the dominant players by just continuing business as usual? Or will you wait until a crisis strikes? That is what most people do: continue business as usual and wait until something happens. And when hit by a crisis, people tend to become more creative and more innovative. They take risks because apparently there is nothing to lose. Unfortunately, for many companies, actions in crisis time often come too late. Don’t wait until a crisis hits your industry or market niche. So, what do you have to do instead? A more rewarding strategy than just waiting until a crisis strikes, is creating a crisis yourself by looking for new opportunities. Opportunities no one else in your market had thought of so far. But how do you do that? Good, better, best is not necessarily what keeps you ahead of others. Many companies innovate in terms of products or technology. They focus on making better products and faster technologies, and thus believe themselves to be highly innovative. Sometimes their products or technology become so superior that there is no realistic use for the added features. It becomes even worse when new entrants in the market, which usually are smaller and more agile, offer cheaper alternatives that are good enough to do the job. By doing so, product and technology innovators often price themselves out of the market, which is to be avoided. 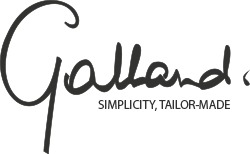 At Galland.be we offer the tools and the methodology for CEO’s and managers who want to question and challenge their business model and the hidden potential that could change the rules of the game in their market. For that purpose we have developed methods and tools (like strategy plans, frameworks, brainstorm formulas and workshop scenarios) so that you do not need to wait until a crisis strikes. 1. We start from your current business model and make sure that everyone who participates in the strategic innovation process starts with the same understanding of the concept and the principles that will be discussed and challenged during the process. 2. We then look at how you create and capture value.Because value creation and value capturing is the essence of any business model, we offer a mental framework to look at your own business model and explore new or additional opportunities for value creation. These are typically opportunities you did not detect so far because the energy of a company traditionally goes rather into doing things better or faster, than into doing things differently. You will be challenged to question and scrutinize your business model in a hands-on and realistic way, and you will get the chance to check the value creation potential of new and visionary ideas. 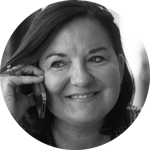 – What value proposition do you have to satisfy your customers’ needs? – And what value might they be longing for without realizing this today? – Are there emerging trends that could be valuable for your products and services? – Are your processes and systems adequate to cope with future perspectives? 4. We will not spend too much strategic time on companies that are in the same business as you are. It may come as a surprise, but we are not really interested in the business models of your main competitors. Why? Because these guys are in the same business as you are. Hence, they usually have the same problems, challenges and issues as you have. And you most probably have already spent time enough at them in your process of making things better, faster and cheaper, right? 5. Instead we will be mainly looking at other companies from totally different markets or industries. Why? Because they may have a business model, a method or principles that can also work in your industry and that can offer an alternative or a breakthrough for your business. A totally different way of looking at innovation and creating value that makes you relevantly stand out from the crowd in a sustainable way. We have management and marketing experience in a wide variety of industries, where we discovered the huge advantages of putting “customer value” centrally in business models. Because we are pragmatic thinkers, we bring a tailor-made approach and actionable tools, right at the size of your enterprise, and we can support your team in putting the chosen strategy into action.